Are you a Sci-Fi fan? Do you go wobbly at the sight of a TARDIS? Do you binge-watch Firefly while everybody else is glued to the Super Bowl? Do you own your own tribble? If the answer is yes, then this blog post may be just for you. I’m a native of Huntsville (one of the seven), and there are few towns so well suited for fans of science fiction and fantasy. Here’s my top ten picks for the science fiction inclined. This is the “no, duh” item on my list, but honestly, do you realize how amazing it is that we have a museum dedicated to space flight? If you haven’t been you really need to see this place. 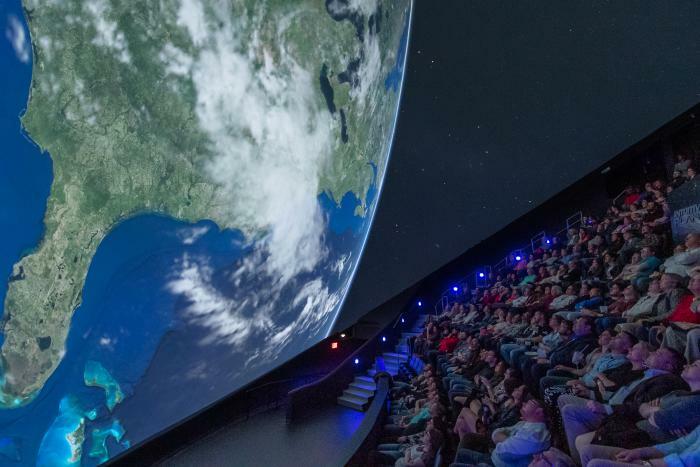 Take a day or two, book a tour of the Marshall Space Flight Center and take in an IMAX movie. You simply can’t go wrong here. Like to read? Browse bookstores? The Booklegger bookstore on Jordan Lane (about a mile east of UAHuntsville) is an amazing treasure. Here you will find hardback and softcover science fiction and fantasy novels (as well as other genres and nonfiction) for ridiculously easy-on-the-wallet prices. And don’t forget their selection of graphic novels. One review called this place a used bookstore in “classic tradition”, and they&apos;re right. I spend way too much time and money there. This is one of my favorite places in town. The Deep is a comic book and game store located in the old Mock Electronics building on the Parkway. (They left the charming “M and E” on the front doors.) Their selection of comics is mindboggling. The store seems to go on forever. And if you&apos;re not a comics fan (I am not, so I won’t even try to review that aspect of the store) then you might want to check out their incredible selection of games. They have everything from the Settlers of Catan to Munchkin, from Pathfinder to Warhammer. Awesome place. The North Alabama Science Fiction Association (NASFA) organizes Con*stellation, a very cool Rocket City sci-fi convention that is a must. Membership in NASFA is easy and inexpensive, and is open to anyone who loves all things speculative. The next Con*stellation will be October 2015 at the Four Points, Huntsville Airport hotel. With art shows and auctions, console gaming and dealers selling their wares, what is not to love? Find more here. Love Doctor Who? I blogged about this show during the Matt Smith-David Tennant era. So I was especially happy to see that Huntsville has its very own tribute to the good doctor. I have a picture of me with a Dalek somewhere. Check out Con Kasterborous, in the summer. It’s too cool for school. How about Rocket City Nerd Con, which is the Rocket City’s premier convention for, well, nerds? I have not been, but it looks like a blast. Check out their FAQ here. Grab your league of friends and enjoy some amazing food with a fun decor. All the nerds nosh here! The Toybox Bistro motto is eat drink and be nerdy! How about collectibles? Or more comics? What must be a fairly new shop on Bob Wallace Ave., Hit Comics, has a good assortment of comics and geeky collectibles. And what sci-fi fan isn’t wowed by a scale bust of the alien from Alien? I know I was. Are you into model airplanes? Then check out RC Hobbies, who sell remote control planes, boats and cars, as well as traditional (don’t sniff the glue) models of tanks, aircraft, ships and spacecraft. See them on Facebook here. Located in downtown Huntsville, this is a game lovers paradise. It has more than 50 vintage arcade games and pinball machines along with an impressive selection of craft beer! They serve food and are family friendly. Keith Parker is one of the seven remaining native Huntsvillians, a feature writer for JustUsGeeks.com, and a novelist who hasn&apos;t become famous yet. Over the years he&apos;s managed to strongarm several traditional magazines to publish his short fiction; has peddled his indie-published adventure novel, and has just completed (with his co-author) his first science fiction novel, Madness Rising. This book is the first in a series of young adult novels about orphaned colonists on a distant planet who dig up something that should&apos;ve remained buried. As he searches for a literary agent, he&apos;s hacking away at the sequel, Madness Ashore. He thinks the series will sell well if a lot of people buy it.